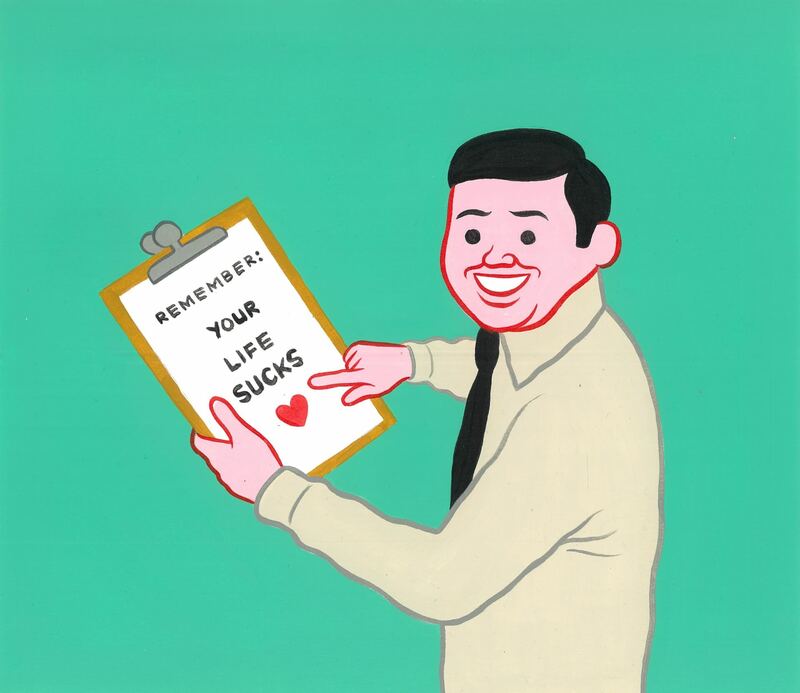 Joan Cornellà continues to both amuse and repel in his newest paintings. His latest acrylic works are featured in “I’m Good Thanks” at Public Gallery in London. The show kicks off on April 4 and runs through May 4. 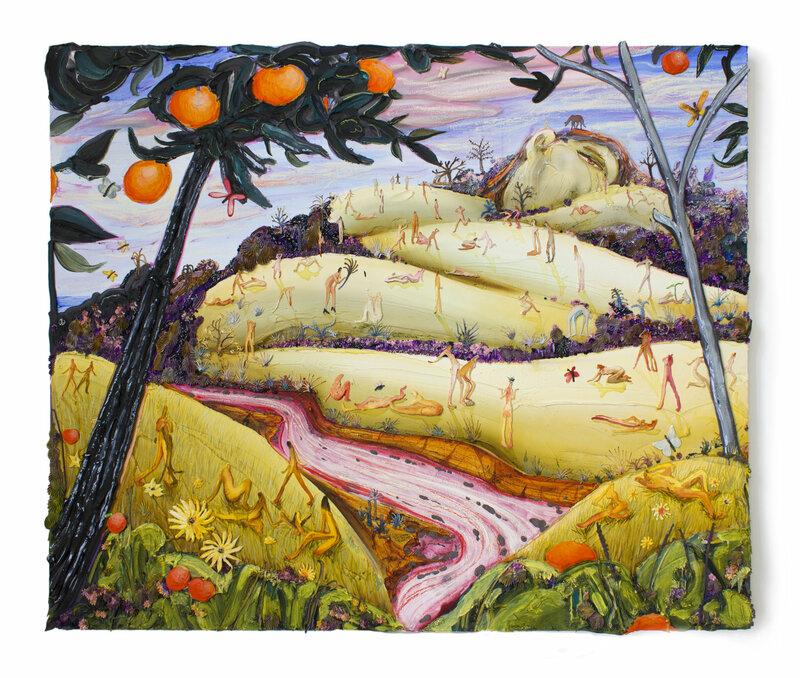 Cornellà was the cover artist for Hi-Fructose Vol. 47. Kate Klingbeil layers acrylic into sculptural, absorbing paintings that explore personal themes. She uses the female form to craft landscapes and towering structures, as figures explore and dance among the terrain. These massive stretches of activity convey both psychological and physical expeditions. Combining lush landscapes with pop and sci-fi elements, Atsushi Fukui’s paintings carry both a mystery and elegance in their execution. The artist has said that there isn’t actually one narrative driving these scenes, yet he crafts the works in a way to imply so. A recent body of work carries both tones of space epics and mythology. 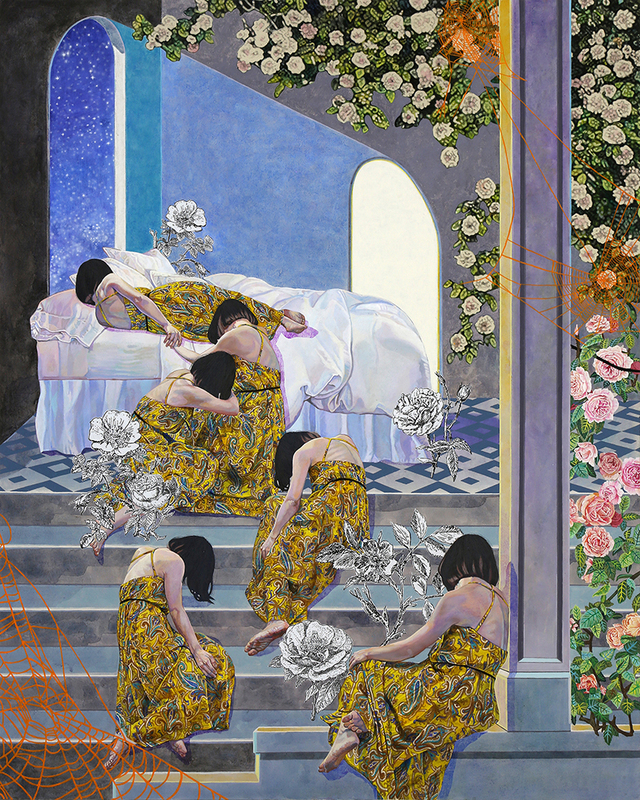 Naomi Okubo’s acrylic paintings on cotton wrestle with identity, offering both introspective scenes and rich experiments in patterns and texture. 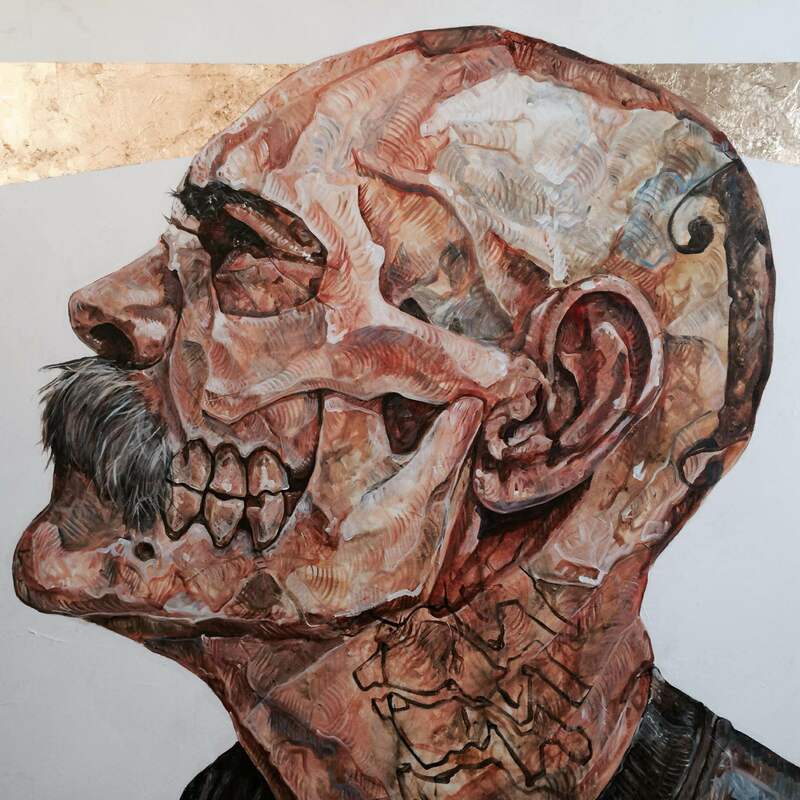 The artist’s work is influenced by the ideals given to us by mass media and gender norms. Her work pulls from advertisements, self-portraits, and other sources. 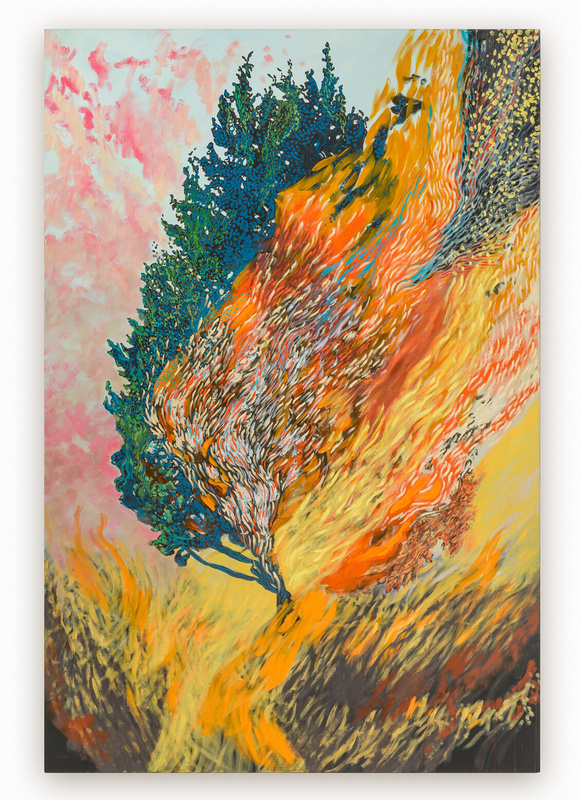 Jérémy Demester’s paintings carry both vivid movement and spontaneity. 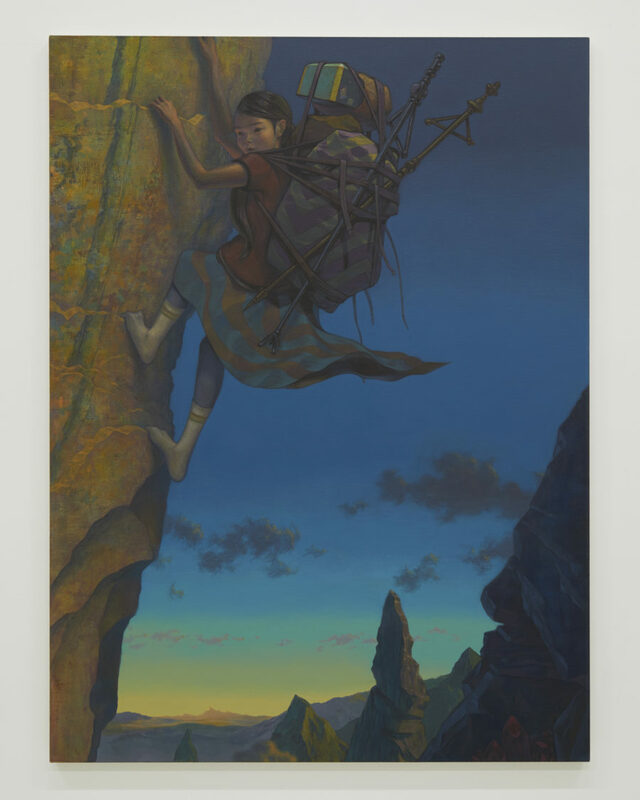 In his current show at Galerie Max Hetzler, titled “FTW,” the artist offers new paintings and sculptures that are part of a poetic narrative surrounding all of the works in the show. And the sculpture is at the center of it all.